Its been two long years since the hearts of 14-year-old girls were shattered; after an event which collectively tarnished their hopes and dreams for the future. The splintering of One Direction led to a biblical flood of teenage tears which washed away the biggest boyband phenomenon of a generation. A groaning gap was left in their absence. Who would young people chase and shriek at in the streets? Who would grumpy cynics moan and tut about whenever they tuned into Radio One? I think it will happen sometime in the foreseeable future, we’ve already talked about it. We have the dream of this next big show and the stage we are currently in, and the success of everyone is so important to us to realize the show. With everybody being so successful … It’s is so important for us to be able to make that show. And it’s the only way really that One Direction could get any bigger. It’s the only way we could get more successful really, isn’t it? By being good on your own. The boys have all developed impressively as musicians in their own right since they took different directions; finding their own unique styles and influences. However, I’m betting it’s way more fun on the tour bus when you have your bezzie mates at your side to share the fun. 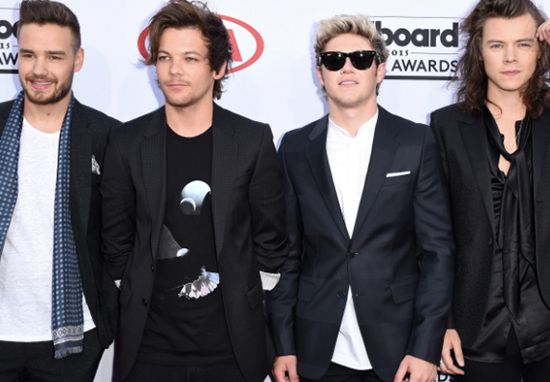 I told my ­managers from the start: When One Direction comes knocking, f**k what I’m doing. I don’t give a s**t if I sold out arenas or won Grammys. I wouldn’t be doing this if it wasn’t for that. When it will be, I don’t know. I’d prefer not to do it after I’m 40. I’d prefer the next few years. What if One Direction really did this hiatus on purpose to test our dedication, love, support and loyalty? And one day, when the greatest comeback will arrive and they'll say "You guys never failed us. Thank you." Its fair to say Liam’s new comments have stirred up all sorts of excitement online. I genuinely like One Direction more than I like myself & im pretty sure that’s a problem but whatever. The only reason I’m still alive is the small possibility that one direction will do a reunion tour. One Direction will comeback so don't lose hope. Liam, Louis, Niall and Harry improved a lot more. I can't wait for them to be back together. One Direction surpassed all the highest standards and y'all should be shaking by the thought now. The time they’ve spent apart will hopefully mean plenty more inspiration and new ideas once they are back in the studio. Hopefully this time will have also helped Zayn Malik work through the issues he experienced while in the band. You can be sure as soon as they return, I’ll be the first to let you know about it. One Direction Reunion? Liam Payne finally speaks plain text!